Introducing a new product to the market involves many steps spanning all departments in a company. The path to successful launch is fraught with challenges. Even if the design and engineering departments come up fine product or creative use of technology, a product can still fail. The marketing team could miss out on the opportunity or the customer service representatives may not have enough information or expertise about the product to help the buyers. Wherever the weak links lie, a chance to penetrate the market and expand profits can be missed. The key to ensuring this unfortunate turn of events does not happen is communication. A company must be able to properly send information about a product throughout the varying departments that have a hand in its success. This is where PLM, or product lifecycle management, becomes highly significant. PLM cannot simply be boiled down to a good emailing system or proper documentation. While those two elements do matter, PLM is more all-encompassing and involves more interacting parts. A broad definition of PLM is dealing with a product from its inception to eventual disposal. It is concerned with the vast number of actions that go into making, distributing, and servicing a product. 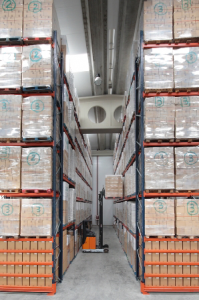 A key component of product lifecycle management is gathering each department’s individual information sets into a central database. The departments working on a particular project can share their expertise and knowledge across all workers. By unifying all of the data, all employees can benefit from the shared knowledge. Also, PLM does not just apply to a product’s initial conception. The openness of communication and information continues throughout the product’s lifecycle. New data will be added because companies tend to iterate and change their products, which makes the PLM system even more important. The ability to group together new and old data greatly affects a company’s decisions. If they are not well informed about a product’s current state, then managers can make the wrong choices. Fostering constant input and updating of this data is imperative to a successful product. 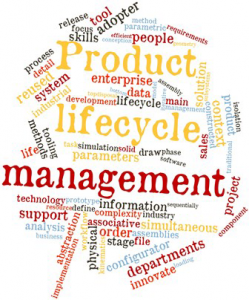 Why is Product Lifecycle Management Important? A PLM system can bring immediate and long-term positives to a business. Initially, the increased amount of communication between departments will lead to a streamlining of services. Employees will have access to the pertinent information without having to wait for an email or a paper memo. Resources and time that would be spent on communication can now be shifted toward making the product itself better. This boost in efficiency operates internally and externally. Customers will also profit because their queries regarding purchasing or warranties can be answered quickly and more accurately. Further down the line, a company can roll the information they gathered on one product into development of something new. All of the data collected, stored, and utilized throughout the prior product’s lifetime can be pertinent in creating new and innovative ideas for the market. Cost-reduction is the name of the game. Being able to improve the state of a product, while saving money and increasing productivity sounds like a longshot. But with product lifecycle management, it is a reality ready for the taking.